This is a set of two DE Racing Trinidad SC Rear Wheels. 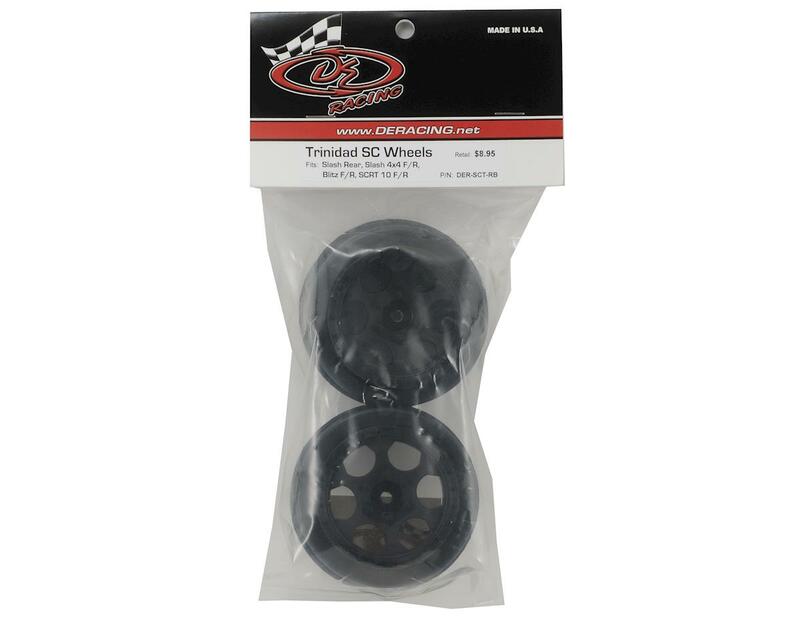 These are intended for use on the rear of the Traxxas Slash, as well as the front and rear of the Slash 4x4, the Kyosho Ultima SC, HPI Blitz, and the OFNA/Jammin 4WD trucks. Named after a rugged valley section of the prestigious Baja 500 and 1000 desert races, DE Racing brings you the “Trinidad” SC wheel. 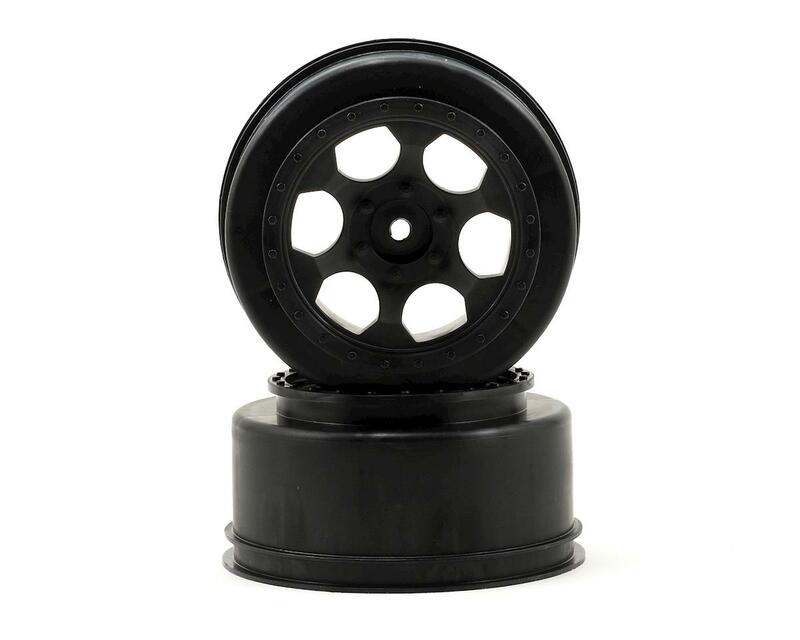 These are some of the most detailed and scale wheels available for your Short Course truck. From the bead lock bolts and lug nuts to the seamless integration for the optional Hub Nutz, one look and you’ll agree that these wheels form a package that is pure eye candy. Real happy with these wheels. Good fit and balance, super durable and the price is right. No Step like the HPI wheels have. these have been working great on my blitz. going to be buying more of these for sure..
i have used all the main sc wheels and this wheel is by far the best and the nicest looking! it also fits nice and tight on the hex. These have become my favorite short course wheels. Of the various wheels I've used, these are the straightest and have the best fit. They have barely any wobble at all and the hex tight but not too tight. They're durable and not too heavy. I couldn't ask for more. I buy these wheels whenever I need new wheels. I wish DE Racing made more wheels in the Slash 2wd offset.